Adam Maltese is an associate professor of science education at Indiana University in Bloomington, IN. Adam researches how individuals develop and maintain interest in STEM as well as identifying the gains students make from participating in maker programming. He directs the Make Innovate Learn Lab at IU’s School of Education. 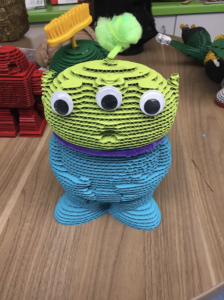 Recently he helped to start the Indiana Maker Educator Network and developed a Making for Learning class for university students. 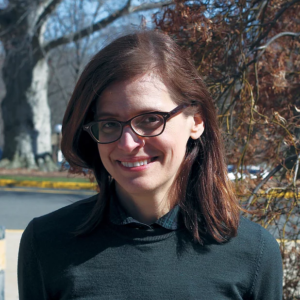 Erin Riley is the Mr. and Mrs. Alexander Jackson Director of the Engineering and Design Lab at Greenwich Academy, where she teaches classes and facilitates projects with faculty at the intersection of art, design and engineering. Additionally she teaches a studio course in Creative Technologies at Columbia Teacher’s College in the Department of Art and Art Education. During the summer, Erin works with middle school-aged students on integrated art and science projects at REACHPrep, an educational access organization for underserved students. Working in a hands-on studio/lab environment for 20 years, and teaching in a variety of schools, has allowed Erin to mentor educators from a wide range of experiences and perspectives. 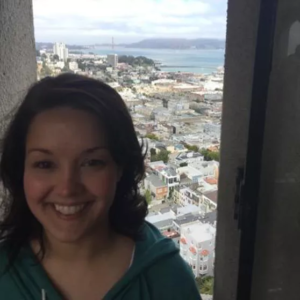 Erin has developed a language for working with teachers in both STEM and the humanities to craft personal and unique integrated projects that meet both classroom learning objectives and school-wide curricular threads for engineering and design. Erin is among the first cohort of Senior FabLearn Fellows at Stanford University where she writes on the topic of maker education and curriculum design, and creates tools and resources for educators. She holds an MFA from Maryland Institute College of Art. 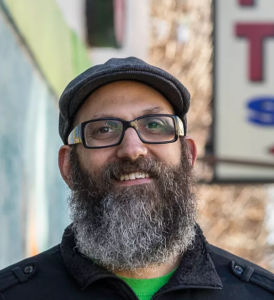 Jeff Solin is a Computer Science / Making teacher and FIRST Robotics coach at Lane Tech College Prep High School in Chicago, IL. Jeff is a co-founder and leadership team member of the Chicago chapter of the Computer Science Teachers Association, the largest CSTA chapter in the country. He is also one of the original team members that brought the Exploring Computer Science curriculum to Chicago Public Schools. Jeff is also heavily involved in bringing the Maker Movement into schools. He turned an old cafeteria at Lane Tech into a fully-equipped 4000 sqft makerspace, the LT Maker Lab. Jeff designed and built the space, wrote the curriculum for the course and currently teaches over 160 students in the space each day. He received his BS in Computer Science from Ohio State University followed by his M.Ed. in Educational Leadership. Above all things CS, Jeff loves to spend time with his wife Sarah and their two kids Sunshine (15) and Milo (11). Anna Van Dordrecht is the Curriculum Coordinator for Science at the Sonoma County Office of Education. 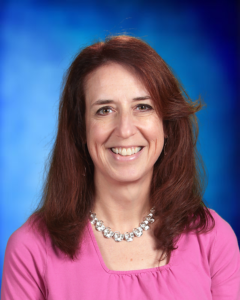 Her work focuses on NGSS, STEAM, and 21st Century Learning. Anna is involved in the implementation of the Next Generation Science Standards at both the state and local level. She also works on how to integrate disciplines in the context of STEAM and pair maker education and other 21st Century learning tools with content to make their use in the classroom sustainable. Prior to working at the county level, Anna taught high school earth science and biology for ten years. Julie Marie Frye (PhD) is head librarian at the School of Education at Indiana University – Bloomington where she has been helping educational communities create library makerspaces that support innovation and risk taking. 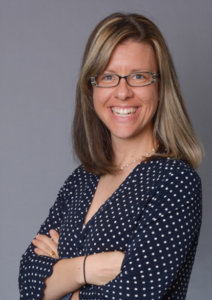 Julie Marie has extensive experience working as a school librarian in the K-12 setting and facilitated maker programming at Whitby School in Connecticut before coming to IU. 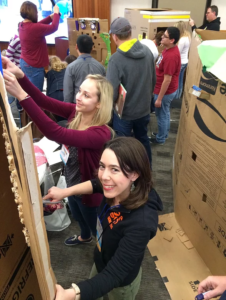 In that position she worked to launch maker challenges where learners were encouraged to create solutions for real-world issues and to motivate school stakeholders to increase support for the makerspace. Julie Marie collaborates with architects and space planners to reimagine libraries that include spaces to tinker, create, and invent. A 15 year veteran of Albemarle County, IdaMae Craddock, M.Ed is the librarian at Burley Middle School. Ms. Craddock has conducted seminars at the White House, the Bay Area MakerFaire, and South Carolina Association of School Libraries. Winner of the Magna Award from the National Association of School Boards, her publishing credits include Library High-Tech, School LIbrary Journal, and Knowledge Quest. The focus of her research is Maker Education and the role of school libraries in the community. Her program has been profiled by School Library Journal, Library Media Connection, NPR, and Edutopia. She has a precocious daughter, an understanding husband, and a lazy dog named Peacha. 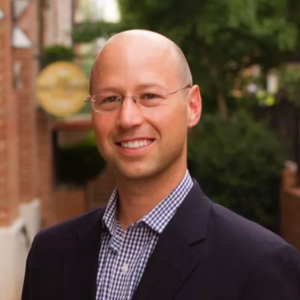 Chad leads instructional innovation and serves as principal of two progressive lab schools for Albemarle County Public Schools. He is responsible for the research, development, and implementation of pilot programs that align with the school district’s strategic focus on student-centered instruction, choice, collaborative partnerships and lifelong learning. 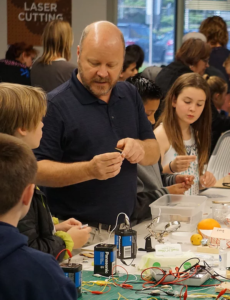 Andrew Goodin is a Design Thinking & Makerspace Teacher at Purdue Polytechnic High School in Indianapolis, IN. Design-based learning is the backbone of Purdue Polytechnic High School’s re-imagined educational model. Student work is focused on solving problems that come from the neighborhoods they live in as well as from business and industry partners. 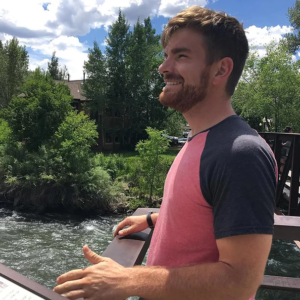 Andrew co-founded The Disruption Department, a non-profit that provides the platform and the resources for students to learn, build, and share innovative things. Leslie Preddy is a school librarian; Instructional Leadership Editor for School Library Connections magazine; author in book, journal, and social media; national and online speaker and consultant; recipient of AASL’s (American Association of School Librarians) Collaborative School Library Media, AASL’s School Library Program of the Year, and ALA’s (American Library Association) Sara Jaffarian awards; Perry Township Schools Teacher of the Year and 2010 Finalist for Indiana State Teacher of the Year; Past President of AASL and AISLE (Indiana).